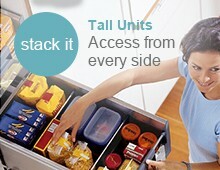 Make maximum use of a narrow 300mm larder unit with this adjustable frame and baskets. 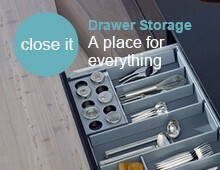 With a silver grey frame and chrome baskets it will suit any kitchen. As you can choose the position of the baskets, it means you can easily organise different sized products. 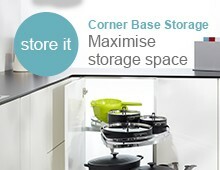 Fully extending, you can view the contents from both sides. 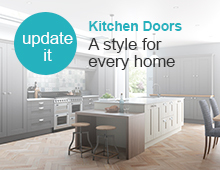 With a soft closing action and a 100kg load capacity, this pull out larder will be a great asset to your kitchen. 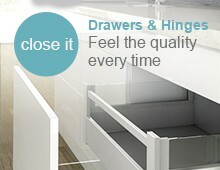 Pull- Out Larder Comprises: Height adjustable frame from 1680mm to 2175mm, 6 Trays, door fixing brackets. 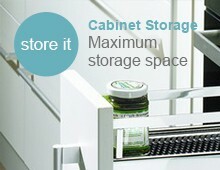 Minimum internal cabinet depth required is 455mm.